Home Renaissance Foundation had the pleasure and privilege of presenting our most recent publication The Home: Multidisciplinary Reflections as the guests of Digital Poland. 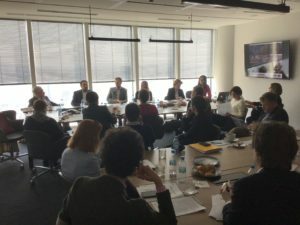 “Home in the Digital Era” saw experts, including academics, educationalists and professionals in the field of digital technology and Artificial Intelligence, gathering to discuss the challenges and opportunities these new developments offer in the context of the home. Piotr Mieczkowski, CEO of Digital Poland, welcomed the participants and introduced the session by drawing attention to the “missing dimension” in digital business and development. This dimension is the social context in which individuals, families and communities interact with the new technologies. Piotr quoted just published research from the Digital Society Index that 50% of respondents to the survey are now limiting all online activity, 25% are limiting social media activity and 30% believe that there are negative health effects from digital activity. 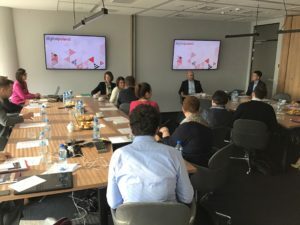 Digital Poland is at the forefront of seeking positive engagement with these social considerations, including events such as Warsaw Digital Week planned for October 2019. 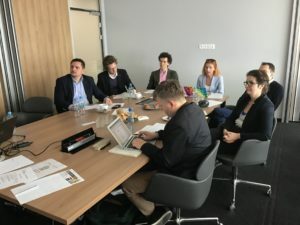 Tomasz Klekowski, expert and promoter of digital transformation, Sectoral Skills Council: IT, Future Industry Platform Foundation, former Intel Director for EMEA, moderated the meeting. Tomasz set out the agenda of the sessions also referring to the effects of globalization on the changing perception of home in an increasingly peripatetic world. Antonio Argandona, Emeritus Professor of Economics and Business Ethics at IESE Business School, University of Navarre, and editor of The Home: Multidisciplinary Reflections gave a presentation on the publication and the key strands of Home Renaissance Foundation’s work and its relevance to “Home in the Digital Era.” Professor Argandona emphasized the home as the place where cooperation between the generations is learnt and where dependence and vulnerability are not deficits but vital to this learning. Changes in patterns of employment brought about by the digital revolution of the workplace, and home-based AI need careful ethical evaluation. The commitment of Digital Poland and like-minded companies to this conversation is to be strongly recommended. Dr Jonathan Price, Junior Research Fellow at the Aquinas Institute at the University of Oxford, began his presentation by declaring himself a “technophobe”. He argued that digital technology offers “unreliable and untrustworthy systems” in place of human beings, with emphasis on the power and reach of mobile phones into our lives. Dr Price developed his argument by describing how we are ceding control of the home and becoming locked out of the place of key human nurture. “Trust begins in well-ordered homes” and such homes require human skills and protection from damaging external sources. Historically there was a border between the home and businesses who wanted to gain access via advertising (impersonally via TV, or increasingly personally via devices such as Alexa and embedded cookies). Dr Price believes we urgently need to put this border back and to recover the true meaning of economics: “oikos”- the family, the family’s property and the home. Dr Alek Tarkowski, sociologist, co-founder and President of Centrum Cyfrowe Foundation, responded to Dr Price’s presentation by agreeing that communication technologies not “talking fridges” are at the heart of the digital transformation of family life. The social consequences of mobile phones are yet to be seen and he too noted the speed of change in our attitudes to these devices. In the recent past the landline telephone was seen as an intrusion into the domestic scene and was kept in a separate room, now we all sit together but apart playing on our phones. Dr Tarkowski quoted Jacek Kuroń The Republic of my Grandchildren, where the future is seen as a state of wilderness and in need of a reimagining of the social contract, for the benefit of generations to come. Jowita Michalska, CEO of Digital University is concerned with teaching the competencies of the future. 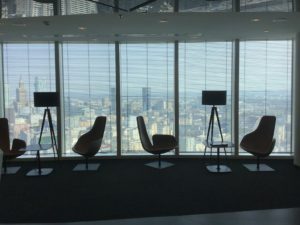 The premise of this priority is the likelihood that soon there will be very few jobs that will not require technology and that early exposure and confidence will be vital to success in the workplace of the future. Jowita explained how she works with children from mixed social backgrounds aged 6 – 12 giving them a creative experience of coding to help them prepare and thrive in this environment. She also highlighted the importance of helping girls overcome reluctance in this area. Children learn what technology is for and how to work collaboratively. Development of “soft skills” is seen as important alongside technical skills. The home context remains the one where moral and social values need to be modelled and worked out. Jowita agreed that this also remains a challenge. Marta Ponikowska, lawyer, public policy analyst and leader of the Warsaw Women’s Club, picked up on the need for digital education to be collaborative and cross-curricular. There is currently a disconnect between what and how children are taught in school and the opportunities for self-learning at home via digital media. Integrity needs to be found between home and school in technology education. Marta asked how homemakers can be supported by digital education, and suggested that a framework of guidelines for schools and the opportunity for systematic training for parents was desirable. Above all there is a need for “face to face” technology. 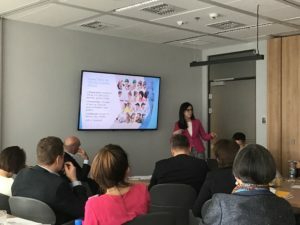 Dr Justyna Pokojska, coordinator Jobs and Skills for the Future, Institute of Sociology, DeLAb University of Warsaw, sees the new technologies as a great, but time-limited, opportunity for women to take their place in the digital workforce. 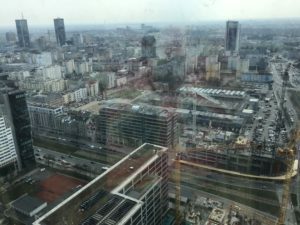 Currently, 40% of Polish women are professionally inactive. For some this is an informed choice, but for many it is about lack of access to training and the labour market. Justyna argued that professionally fulfilled women not only benefit society financially but are also more satisfied and effective in their home lives. Further, we should speak now not of “work-life” balance but “work-life blend”. 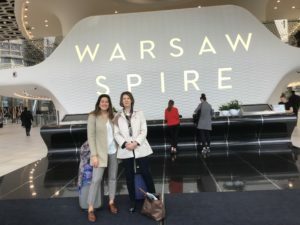 Justyna concluded that for Polish women “now is our time” to take the leap into entrepreneurship and to see the new technologies as a route to inclusive opportunities. 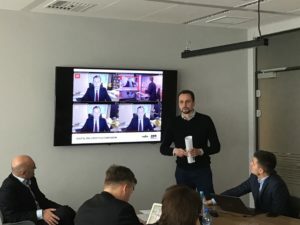 Ignacy Święcicki, head of Digital Economy team, Polish Economic Institute, questioned the feasibility of the “work-life” blend. Culturally part-time work patterns are unpopular and women with families are more likely to be risk-averse than entrepreneurial. Linking strongly to the home context, Ignacy also questioned how simple, mundane household tasks would be fulfilled other than by domestic employees, who were very likely to be other women. It is important though for government and other relevant agencies to develop “safety nets” for those wanting to make use of this opportunity to enter the workplace. Krystian Kwieciński, architect, Warsaw University of Technology, returned to the theme of the home as the host for the new technologies. “The home is a huge market”, it is filled with “products” which render us “users” and “customers”. Krystian drew this out by exploring how these digital products have become residents in our homes. Some remain obvious functional tools but others are beginning to mimic human forms and behaviours, but all are sharing our homes with us. Krystian made the analogy with choosing a housemate and choosing these products; we need to choose very carefully indeed. Returning to the discussion of coding, Krystian sees it as a vital language to learn, but it will not on its own help us to discern our relationship with these technologies. He made a plea for us to be “prosumers” – professional consumers -and to be involved in the process of building our homes. To move from “buying to making”. Dr Robert Sroka, ESG Director at Abris, began by linking to the idea of “prosumers” by asking “Are we players in this game?” In other words how much are we in control of the developments affecting us, our families and our homes? As the value of privacy has become eclipsed by the value of transparency the interests of those who sell have been prioritized over the safety of those who buy. We should see the home in the digital era from an ethical level. People need to be at the centre of any home. The pace of change should not distract us from taking the time to build strong relationships. Homes need to be places of safety and under our control. We must revisit and strengthen protection of privacy. The home has an unknown future. We need to equip ourselves to make sure we are the players in this game. We are in a transition period and in this process, we should rebuild the real sense of home. Susan Peatfield, Development Director and Deputy CEO of Home Renaissance Foundation, offered some closing remarks encouraging a continuing conversation between those building the systems that affect our homes and those concerned with the well-being of the life and work of the home. 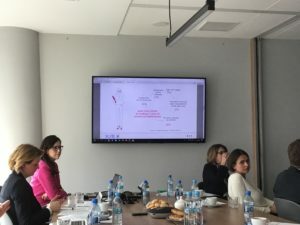 Susan concluded by thanking Piotr Mieczkowski, CEO and Nell Przybylska, PR and Communication Manager of Digital Poland for hosting the launch and Roundtable. Thanks were also extended to all the participants and to Tomasz Klekowski, for so expertly and efficiently moderating the excellent sessions and discussion. Special thanks were extended to Marta Ponikowska for organizing the event, and to Angela de Miguel from Home Renaissance Foundation. 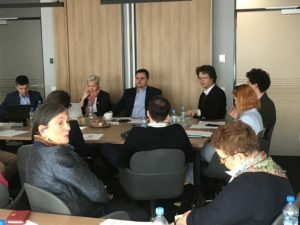 There is a concern at the speed of change and anxiety that the education system in Poland is not “fit for purpose” in addressing the needs and challenges of the digital world. Questions on how to best support understanding of these developments, both for children and their parents, recurred during the discussion. Along with this ,there was an emphasis on preparing girls to take a full role in the digital workplace. There was some disagreement on the value of coding education for girls who preferred more traditional activities. The opportunity for female entrepreneurship was also questioned, especially as it was not seen as a good model for healthy work-life patterns. The different value of work outside the home and work within the home also provoked some disagreement. Some argued for a more positive vision of home-making, while others saw freedom from household chores as one of the positive outcomes of the new technologies. How do we move from being “users” and “consumers” to being participants in the process and discerning and effecting our own points of control was also a recurring theme, as was the fear of overuse of “screen time” devices. Building trust and confidence were seen as keys in our relationships with these developments, and continued conversation between parents and children, teachers, parents and children, digital developers and agencies representing home/family concerns are all to be sought, supported and encouraged.